He added that the government has taken following measures to enhance the cybersecurity and prevent cyber attacks in the country. Over 15,700 Indian websites were reported hacked this year up to November, Parliament was informed Wednesday. 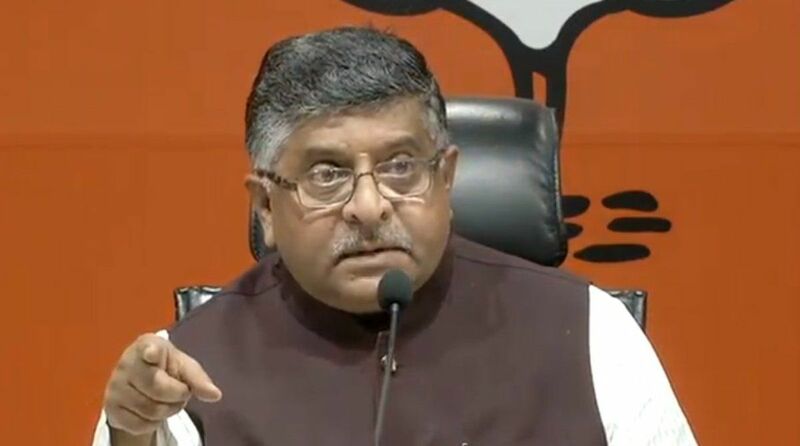 “As per information reported to and tracked by Indian Computer Emergency Response Team (CERT-In), 33,147, 30,067 and 15,779 Indian websites were hacked during the years 2016, 2017 and 2018 (up to November) respectively,” Electronics and IT Minister Ravi Shankar Prasad said in a written reply to the Lok Sabha. The minister said Indian Computer Emergency Response Team (CERT-In) issues alerts and advisories regarding latest cyber threats and countermeasures on a regular basis and cyber-security exercises are conducted regularly to enable assessment of cyber-security posture and preparedness of organisations in government and critical sectors. Besides, the government has also formulated a Crisis Management Plan for countering cyber attacks and cyber terrorism for implementation by all ministries/departments of central government, state governments and their organisations and critical sectors, he added. In response to another question, Minister of State for Electronics and IT SS Ahluwalia said a total of 9622, 11592 and 12,317 cyber crime cases were registered during the years 2014, 2015 and 2016 respectively, as per the data maintained by National Crime Records Bureau (NCRB). “This includes cases registered under the Information Technology (IT) Act, 2000 and related sections of Indian Penal Code and Special & Local Laws involving computer as medium/target,” he added. Ahluwalia said according to CERT-In data, a total of 3, 14 and 6 financial fraud incidents affecting ATMs, cards, Point of sale (PoS) systems and Unified Payment Interface (UPI) were reported during 2016, 2017 and 2018 (upto November) respectively. “Further, the Reserve Bank of India (RBI) has registered a total of 1,191, 1,372, 2,059 and 921 cases of frauds involving ATM/Debit Cards, credit cards and Internet Banking frauds reported (amount involved Rs 1 lakh and above) during the year 2015-16, 2016-17, 2017-18 and 2018-19 (up to September 30, 2018) respectively,” Ahluwalia said.